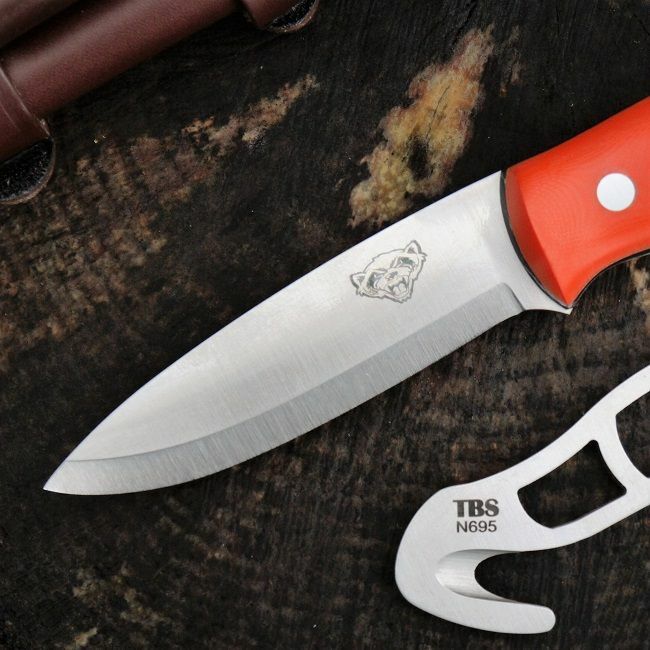 The Wolverine is the latest evolution in the TBS range and was originally designed to be a water resistant knife. 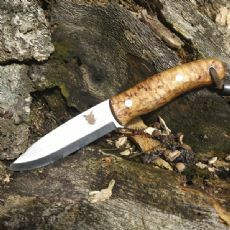 Carbon Steel and Wood are always a popular choice for a knife but they are simply not practical if you are constantly in a high maintenance environment or you just want a product that requires practically no maintenance at all. The TBS Wolverine and the TBS Raptor have teamed up to form the "Hunters Edition" which we believe makes a perfect partnership for your game prep needs. 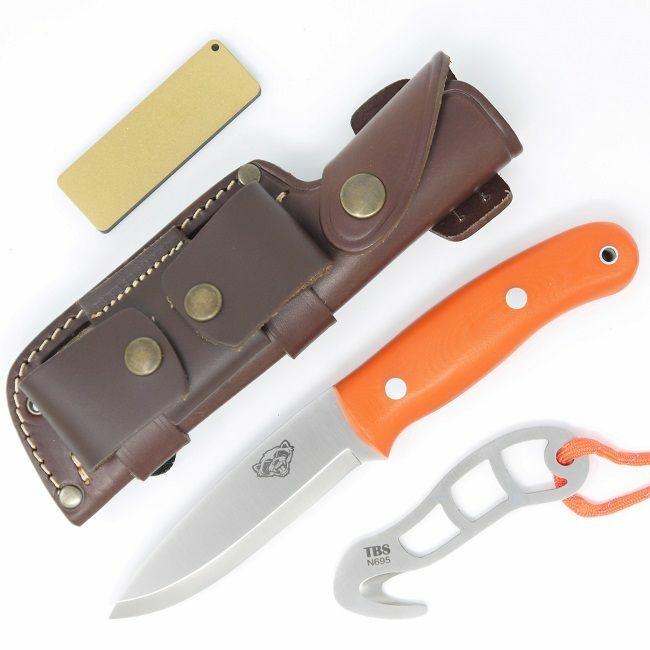 If you require a true game prep knife that will cover you for all the meat hygene regualtions and DSC requirements then you should opt for a Flat Grind, G10 Handled knife with a Spec Ops sheath as it has a removeable and washable insert. 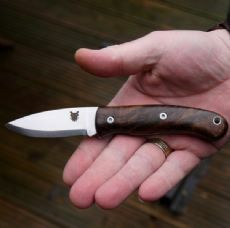 The Wolverine is made with N695 Stainless Steel blades and waterproof or water resistant handles such as stabilised wood or G10. 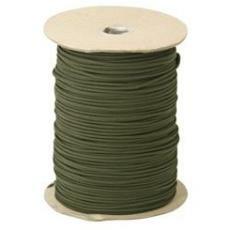 I have found N695 to be an extremely durable and high grade product and I am a big fan. N695 Stainless steel, which has a high hardness and great wear resistance, is one of Bohlers premium stainless steels. It has a higher Carbon content that many other stainless steels which means it holds an edge longer and can be tempered to the same degree as Carbon Steels. This particular steel actually has a higher Carbon content than many High Carbon Tool Steels. 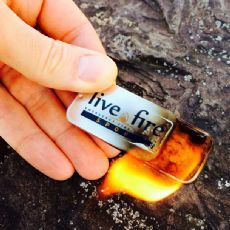 This makes it perform with pretty much all the benefits of Carbon Steel with the added bonus of great corrosion resistance. The Wolverine is the first model to be offered with a choice of grinds. 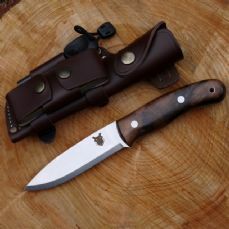 I am personally a big fan of Scandi ground knives as they are so easy to maintain in the field but if we were going to offer an alternative it was always going to be a flat grind. 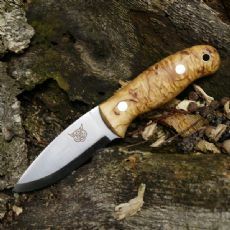 I believe, it is the most versatile grind you can put on a knife as it lends itself to just about any task. A Flat Grind, by its nature, is more difficult to get an edge on with a sharpening stone as it has a secondary bevel but this is easily got around these days with modern sharpening kits. The reason for offering a flat grind as well is simply that it makes dealing with game and food prep much easier as it is the grind used for most kitchen tools. Of course this doesn't detract form the fact it works for just about any task you want to put it to. 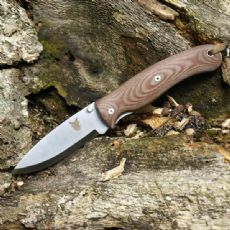 The handle materials for the Wolverine have been selected for their durability, water and wear resistance and because they just work. 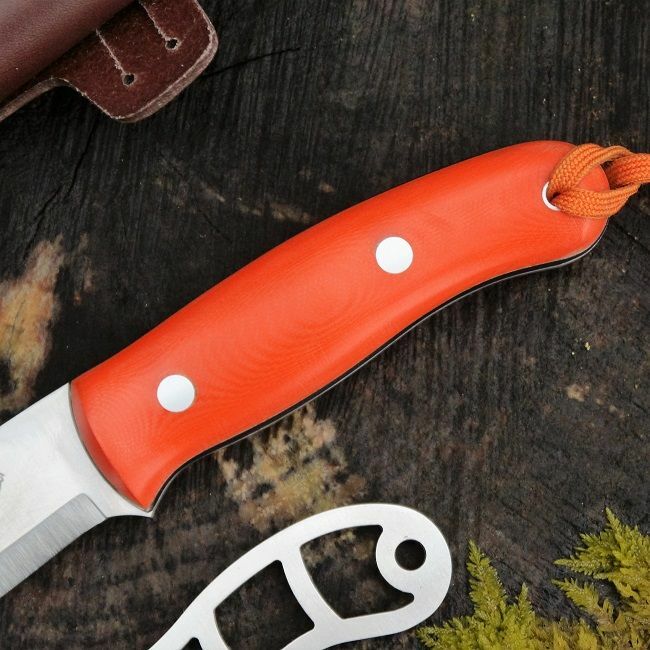 This knife is offered in 2 different materials. 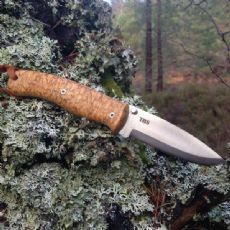 Stabilised Curly Birch or G10. 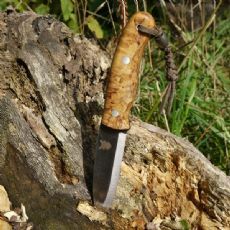 Stabilised Curly Birch is a piece of Curly Birch that has had a resin forced into the pores under pressure, essentially you dry the piece of timber as much as possible and then replace all of the natural moisture in the wood with an artificial resin creating a highly stable and water resistant material that is ideal for a knife handle. G10 is a material that is made by layering glass fibre material and using the same type of resin to make slabs of handle material. 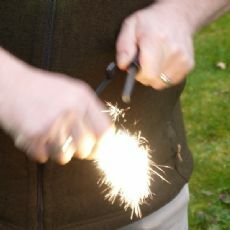 This is then cut and ground to shape to give a very hard, durable and waterproof handle that is ideal for wet environments. 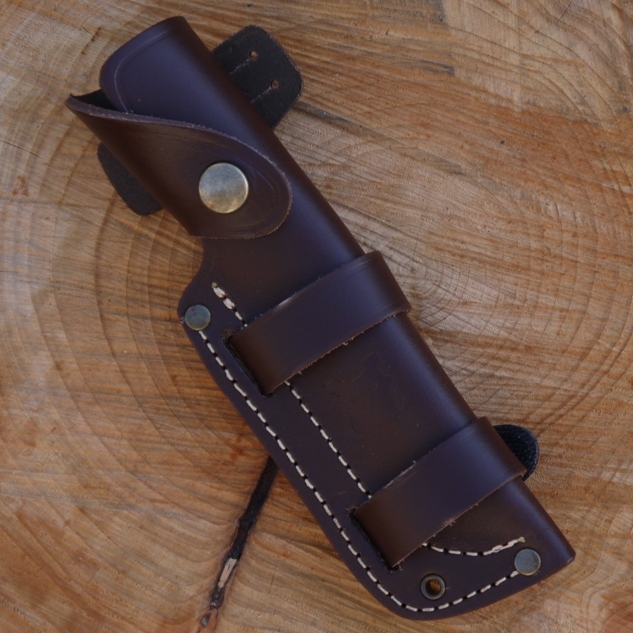 The Wolverine comes with the fantastic quality TBS leather sheath that has been extremely popular with every model we have sold it with. This sheath allows you carry the knife in a regular fashion on your belt and in a linear fashion along a belt. Of course it is also versatile to be attached to just about any strap.